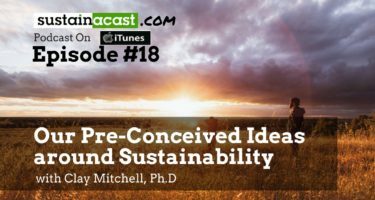 My introduction in this episode of Sustainacast is longer than normal, because I want to do my best to set the stage for some very thought provoking discussion on the topic of energy. 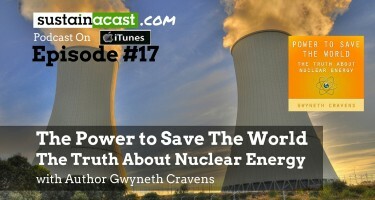 He’s an outspoken critic of wind energy and biofuels. 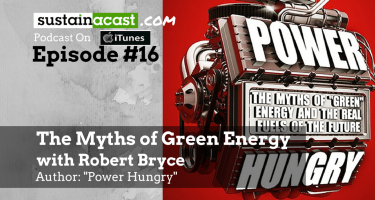 And his book Power Hungry goes into extensive detail discussing why technologies such as wind and biofuels have some flaws that make them not only a potentially unreliable energy source, but may well be having negative effects in some instances. Perhaps the greatest challenge that clean energy faces, (particularly wind energy) is the issue of land mass per unit of energy. 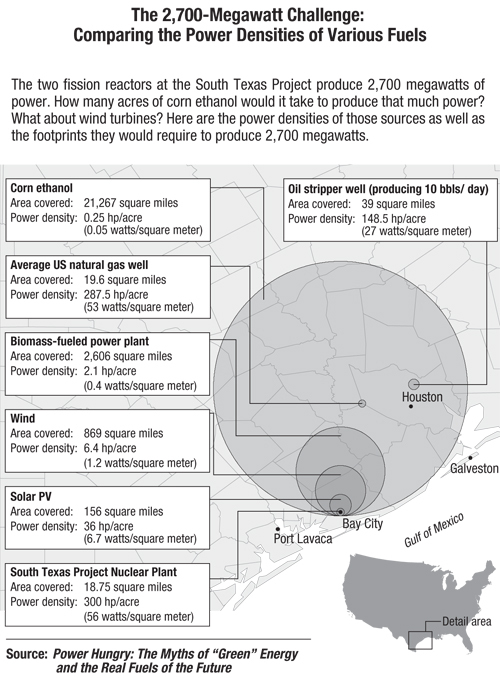 Check out this graph from Robert’s book (Power Hungry) which shows the comparison of footprint required for various energy types in order to yield the same 2,700 MW volume of energy… staggering. In addition to the issue of land use of various energy sources, the even greater issue lies with energy reliability of various sources. It’s the reason why Robert keeps driving home the fact that America/World has a POWER problem (always on), not an ENERGY problem. 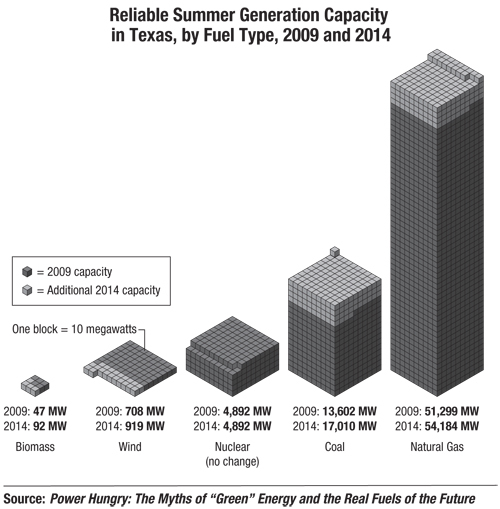 Also consider this graph from his book, which compares energy reliability of various energy sources during summer time. Since his book is jam packed with data, I’ve laid out a few helpful pieces of information to help frame the conversation, and hopefully to inspire you to check it out for yourself. It’s kind of my “three take-aways” laid out at the start of the show instead of the end. I hope you find this discussion thought-provoking at the least, and I hope it gets you fired up enough to either read Robert’s book or start doing some research and math to run the numbers for yourself. We won't send you spammy, annoying emails. Just updates on future guests, and possible meet ups with people like you! Find out news, future guests and free content!